Welcome to Five Eighth Seams! Five Eighth Seams is locally owned and operated business providing quality customer service and products since 2011. To support a variety of creative needs and promote a successful sewing experience, we carry a wide range of notions and over 1000 bolts of quality fabrics, including specialty fabrics for garment making and a diverse selection of designer cottons, organic cottons, and imported cottons from trusted designers and manufacturers. Located in Charleston, SC, we're an exclusive Husquvarna Viking dealer offering a full line of sewing, embroidery, and serger machines, along with a convenient in store rental service for those who don't have access to sewing machine. With options of prices and range of features, our staff is dedicated to helping you find the machine of your dreams that is right for you. Plus, all of our machines come with a warranty and one-on-one know how classes. Why buy a machine from Five Eighth Seams? 1. All machines come with a 1 year in store service warranty. All our technicians are Viking certified. 2. Lifetime know how classes. One-on-one classes on your machine come with your machine. 3. 0% interest free financing plans available with ALL models. Click here to learn more about Machines. Our store features a casual, welcoming environment where you can learn new skills or improve your techniques with a full scope of classes and clubs for kids, beginners, and more advanced sewer. We're a friendly bunch of folks dedicated to inspiring a love of sewing in all who wish to learn. 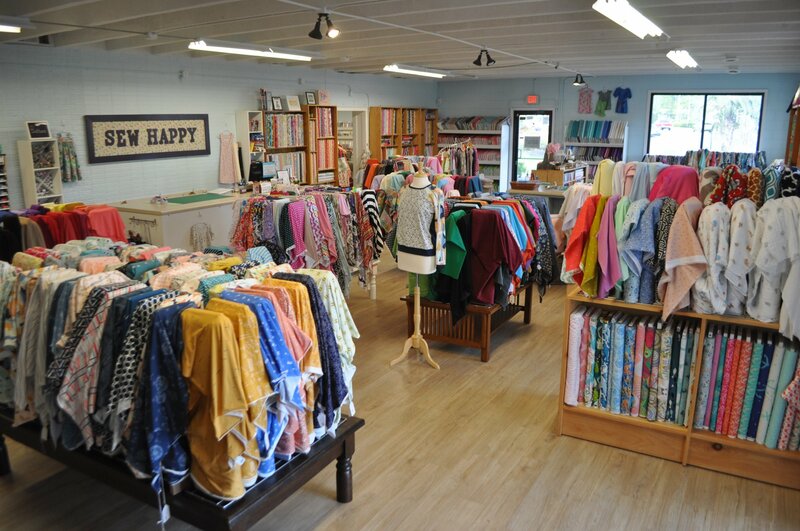 Whether you drop by the store to shop for fabric, find a new project, or purchase a new sewing machine, Five Eighth Seams looks forward to meeting your every sewing need! Click on our Classes link to find out more about what we offer at Five Eighth Seams!